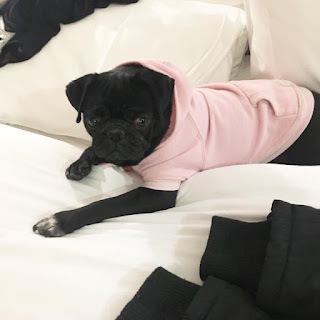 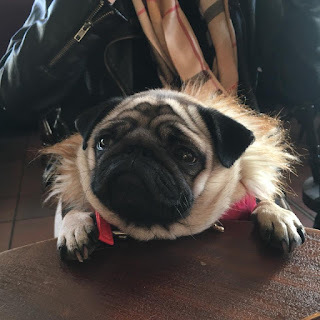 Storms Blog: We visited the Pug Cafe! We visited the Pug Cafe! 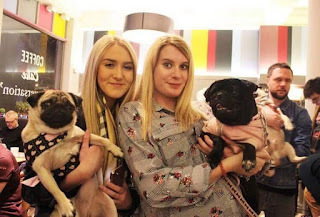 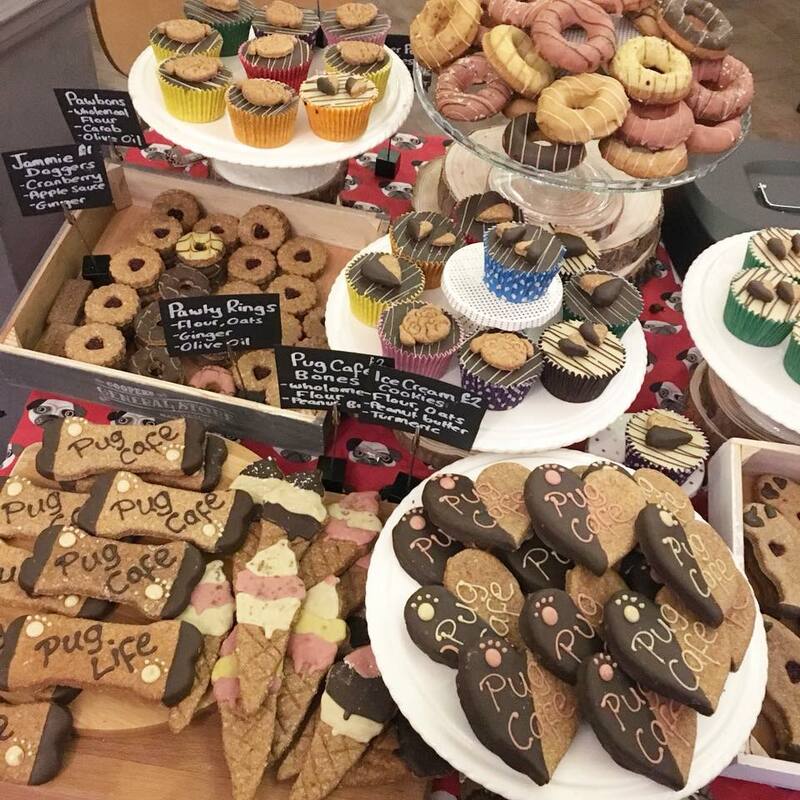 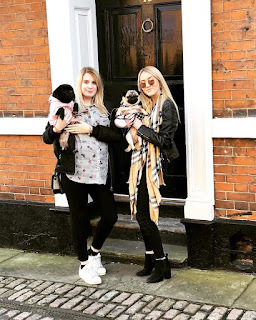 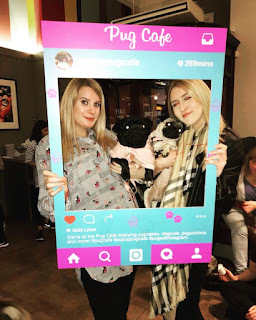 On Sunday 25th of February we visited the Pop Up Pug Cafe in Nottingham *No I haven't gone insane! 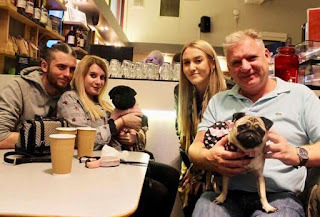 * We were travelling up to Nottingham for the weekend to visit family so what a better way to spend our sunday than at the Pug Cafe. Our family in Nottingham also have a pug called Missy so of course, she came along too! 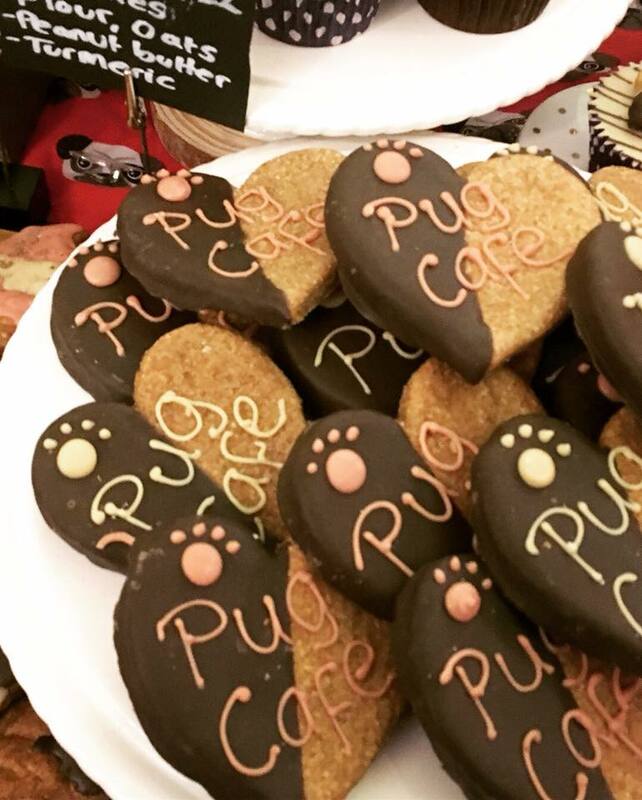 Now if you're anything like me you had never heard of a Pug Cafe before, let alone what one involved. 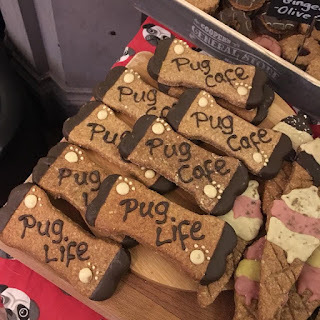 It was like pug heaven... pugs everywhere, running around, drinking Pugaccinos and playing with each other. 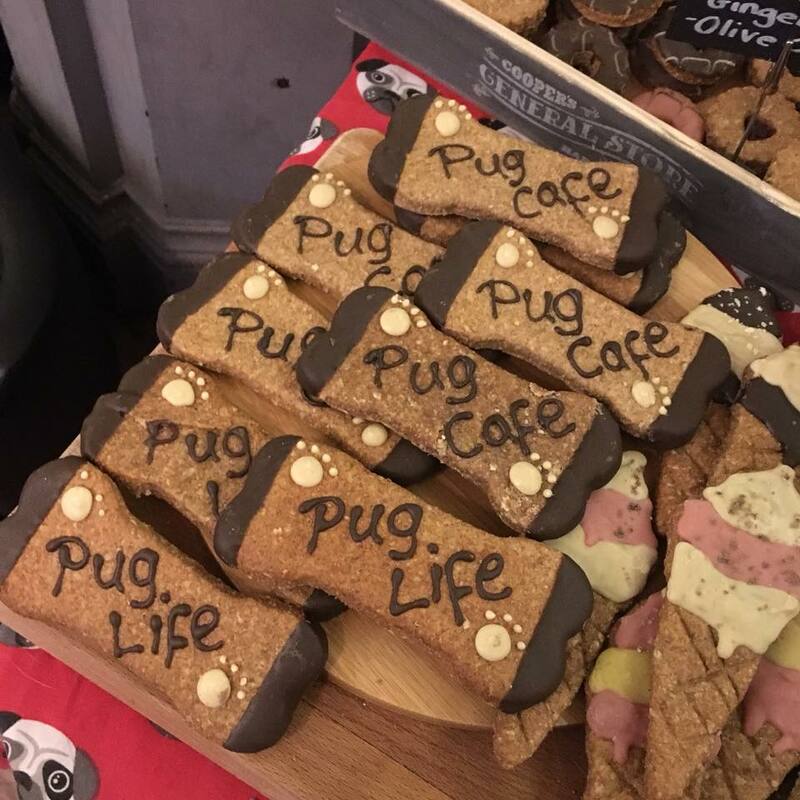 Also inside the pug cafe was a lovely little stall that sold homemade dog biscuits and Sobar was catering for us humans. Myself, Abbie, Missy and Mia. Mia's first ever time staying in a hotel... believe it or not she was very well behaved!